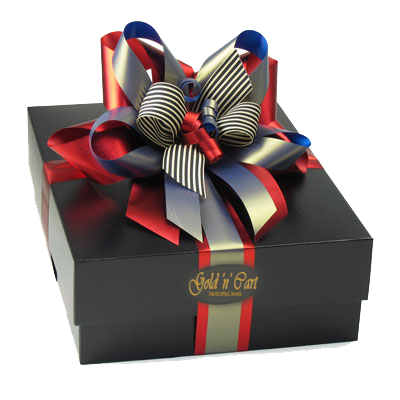 Gold 'n' Cart creates premium-quality corporate gifts that reflect the true value of your business. Try the Gold 'n' Cart corporate gift for that special touch of luxury when you want to thank an employee or mark the continuing success of a working partnership: There’s a reward for every occasion. The giving and receiving of gifts is a memorable way to mark a milestone in business or to express appreciation for a valued client or staff member. Make it particularly memorable by choosing a gift that will be used and appreciated daily. Gold 'n' Cart's new customizable corporate gifts are perfect for these occasions. Our Customizable jewel let's you add a personal touch to any of the stylish Gold 'n' Cart crystal embellished gifts for home or office. We’d love to assist your business with your corporate orders. We offer many gifting options, including gold coins, handmade personalized jewels and more gift ideas. And, we can work with your budget to provide a high quality gift that will be well received and appreciated. From a one of a kind custom design, to multiple orders made to match your needs.